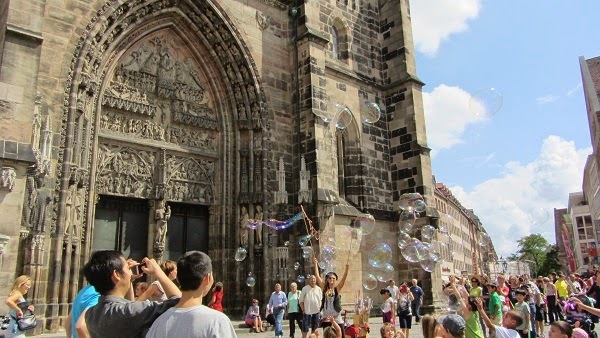 At the beginning of every August, the city of Nuremberg puts on the Bardentreffen - The Meeting of the Bards. 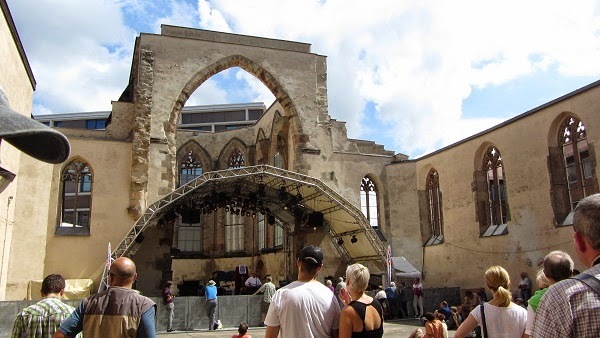 The Bardentreffen is a three-day series of free concerts on eight stages set up in town. Each year has a different theme, whether geographically based, like when Africa or Australia were the themes, or as in this year's War and Peace theme, where the festival dealt with musical reflections of current war/crisis zones of the world. 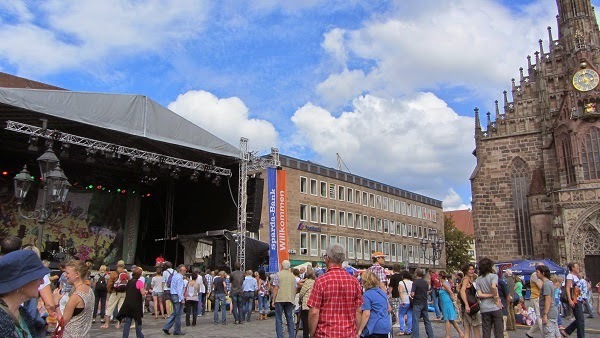 Indian band on the stage on the market square, with the Church of Our Lady (Frauenkirche) at the right. 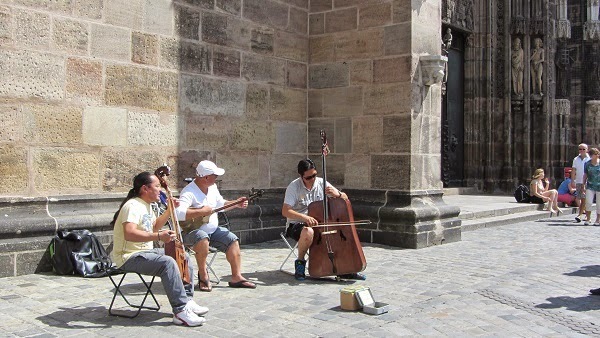 This year, 96 musicians or groups were on the official program, with several more performing in the streets. The artists came from Ghana, Israel, Italy, Brazil, Australia, Germany, and many other countries. All pictures on this page taken by me, early, before many guests arrived. For details and more professional pictures, see the official website. 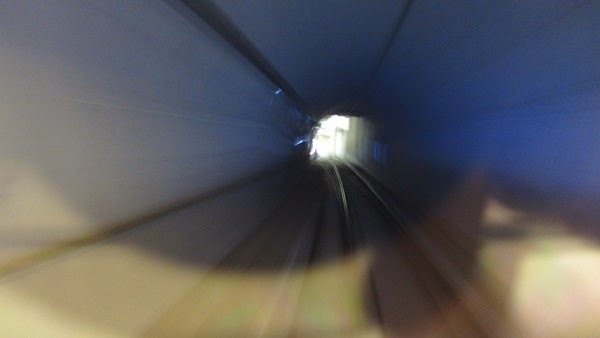 Bonus pic: when the kids got tired, we aimlessly rode Nuremberg's driverless subway.